Another disappointing day for the home team. The game is pretty much out of their hands now. After winning the first test, England have not even competed in this match. Australia, on the other hand have justified their talent and proved that the loss in the first match was just a mistake. Australia continued to muzzle the hosts’ challenge by putting up an impressive performance. Their bowling was propelled by superlative performances from Josh Hazlewood and Mitchell Johnson. If Hazlewood concentrated on bowling with good control and extracting movement off the surface, then Johnson bowled with pace and aggression. The duo shared six wickets between them. Mitchell Marsh, too, made his presence felt by snaring key scalps. It was Marsh who dismissed Alastair Cook. Ben Stokes also made a difference as he scored 87 in quick time, but it wasn’t enough to rescue England’s sinking ship. The two Aussies walked off as the team management stand and clap. England squandered several opportunities in the field and then their batting failed to impress on a batting paradise. Australian openers then piled on the misery with an enterprising stand. To make it worse for England, Adam Lyth dropped a chance off James Anderson’s bowling to give David Warner a reprieve. In fact, England’s fielding has been sloppy in this Test. Tomorrow, the hosts will look to dry up the runs, with Australia trying to up the ante and declare. However, despite having the option of enforcing the follow-on, Australia didn’t opt for it. It was perhaps to do with the fact that the deck is flat. For the home team, Cook and Ben Stokes tried their best to whittle away at the opposition’s lead in the first session. Stokes played with a dash of fearlessness. On the other hand, Cook’s relaxed gait at the crease, brought a sense of assuredness to the English camp. Unfortunately, both of them missed out on scoring centuries. Now, the question remains, when will Clarke declare tomorrow? 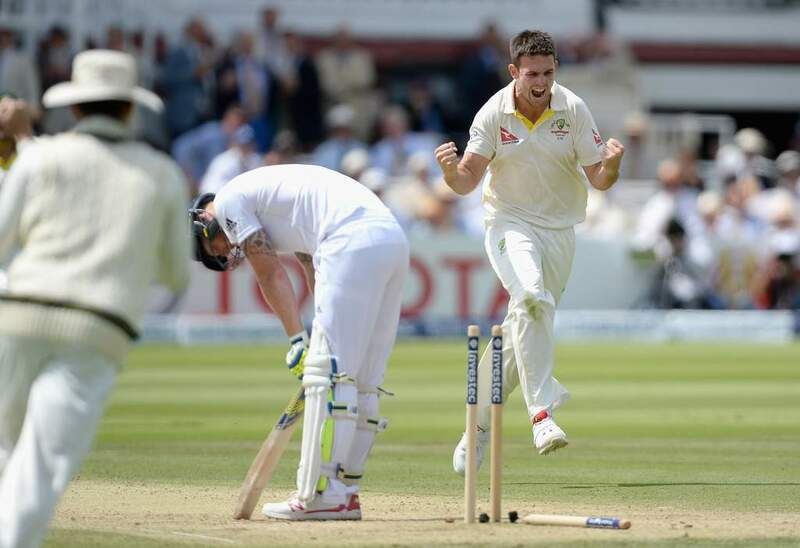 Stay tuned and catch the Ashes Second Test Live from Lords Cricket Ground at 10.00 A.M (GMT).